Typically during this busy Christmas season, we focus a lot on who God is, his names, his character, and Jesus’ birth. This year I’d like to focus a bit on who we are, who He has made us to be, and what Jesus’ birth (and subsequent death and resurrection) provided for us. 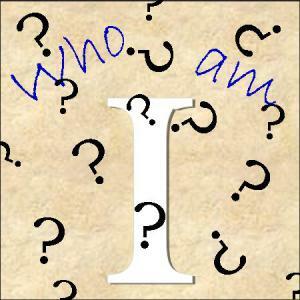 Recently, in the small group I attend at my church, the question was asked, “Who are we?” I’ve thought of it before, but never delved deeply into the subject. After that meeting, I started a search on the internet. It would have taken me weeks, or months even, to find the information. I’m thankful for those who have gone before me and searched the Bible for our identity. In the next few weeks, I’m going to be sharing a few of things the Bible says that we are. These are the things that pop out at me. While they all apply to us, others may seem more significant to you. I challenge you to consider them, not just pass them off. God’s Word is absolute truth. He cannot lie, therefore neither can His Word. I’m going to stop here for second. What does it mean to be “more than conquerors”? I think this next one (which will be the last for today) answers that question. We are in a war, but we can only overcome and be more than conquerors by the blood of the Lamb. It is only by that blood that we are anything. John 15:5, “Yes, I am the vine; you are the branches. Those who remain in me, and I in them, will produce much fruit. For apart from me you can do nothing.” The branches are nothing without the vine. They wither away and die. The emphasis in the above Scripture is mine. Verses are from the NLT, unless otherwise noted.